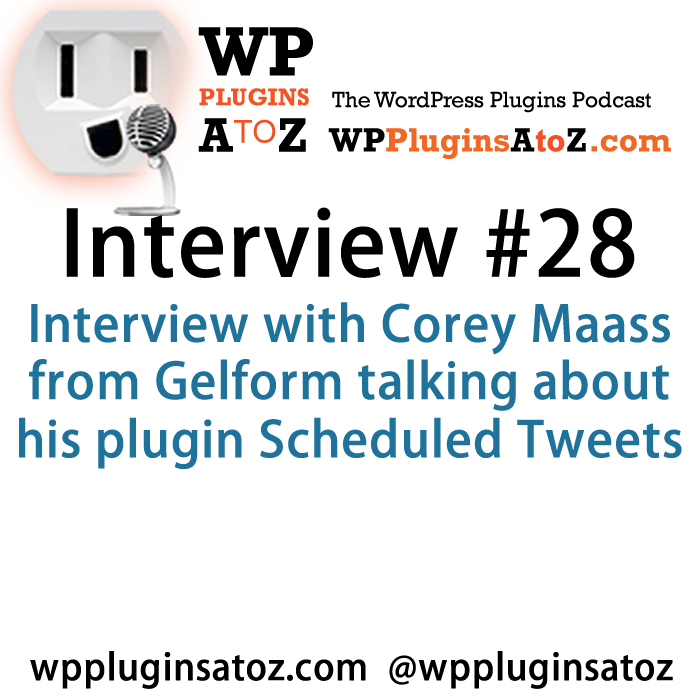 This interview is with Corey from Gelform.com on his plugin Kanban Pro! This plugin is for productivity. It embeds a kanban board into WP Admin to do project management, tracking, editorial calendars, and more. What's better about it compared to other services? You can also track leads by renaming the headers– contacted, contract out, contract signed, etc. The boards are fairly customizable. Kanban for WP is easy to set up. The free version has a few limitations. It's a pretty simple version. You only get 1 board. This is still great for individuals or small teams. The pro version features multiple boards, advanced user management, task comments, and more. It's great for bigger teams. Convenience! Everything is right in the WP admin dashboard. Built in, meaning it's private and safe. New people can grasp it pretty quickly. Gelform offers many plugins. Kanban for WP is their primary. Some of their other plugins include Scheduled Tweets (reviewed in Episode 360 of WP A to Z), and other assorted smaller plugins.Find more about Kanban for WP Pro here, and their other plugins here.